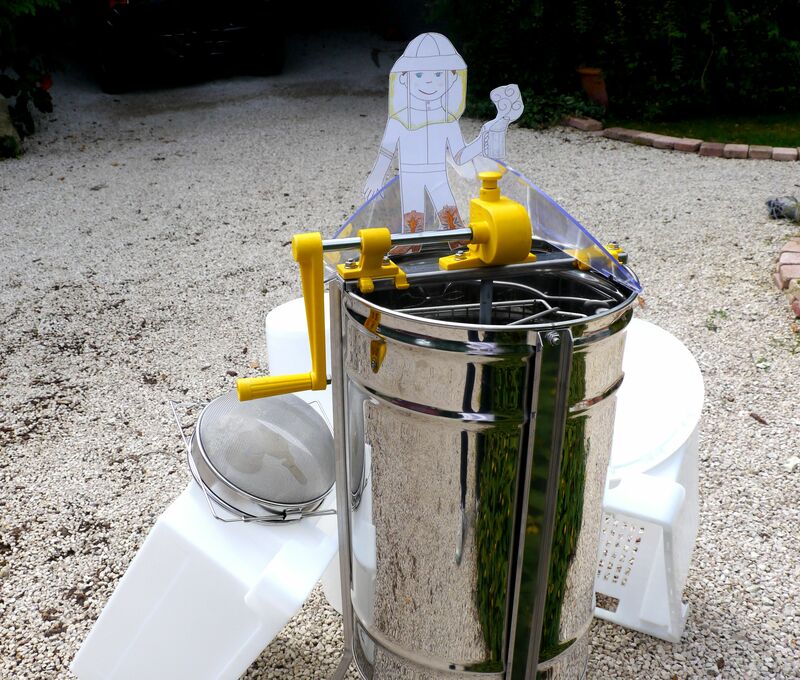 Flat Stanley decided to stick around in France and help with the honey harvest. The sunflower honey is so golden, and I bet it tastes amazing. Howdy – its Flat Stanley again, reporting in after an exciting day’s honey extraction! We collected the honey from the hives of Dallas and Jean-Philippe – three hives in all. I was asked to help out in the Extracting Room. Firstly we had to make sure that all the equipment was spotlessly clean. It is after all a year since it has been used. You see me here atop the centrifugal extractor, surrounded by uncapping trays, buckets, sieves and honey tanks.